Error code 20 is often experienced by end users. The cause depends in part on the Btrieve/Pervasive environment in which the software is running. First ensure that the program can be run from the server/gateway PC (i.e. the PC on which the software is installed) when logged in as administrator. If you do not receive this error code when logging in from the workstation as an administrator but you do get it when logged in from a different profile (but can “force” the program to work by manually first running Btrieve 6.15's microkernel engine w32mkde.exe), chances are that the user is a part of a standard or limited group on their local PC. The user will need to be placed into a power user/administrative group* on the local workstation to resolve. Even if the user has full rights to the shared folder on the server, due to the legacy 32-bit nature of Btrieve 6.15 they must also have similar rights on their local PC. One of the reasons for this is because Btrieve 6.15 places its registry entries under HKEY_LOCAL_MACHINE\Software. In addition, absent being given administrator rights, on 32-bit PC's, the My Computer\HKEY_LOCAL_MACHINE\Software\Btrieve Technologies key should be made accessible to all users. On 64-bit PC's, the key is instead located at HKEY_LOCAL_MACHINE\SOFTWARE\Wow6432Node\Btrieve Technologies. Right click on the Btrieve Technologies branch, choose "Permissions" and set Users/Everyone to have full control. With these settings changed to permitted local application data paths and appropriate rights granted to the Btrieve Technologies registry key, then even with Windows 7,8 and 10, users can be placed in a power user group rather than administrative group and still invoke the engine as was possible with XP Pro. The Addsum Btrieve 6.15 Setup program allows an end user to establish these settings in a more flexible way. It should be kept in mind that Btrieve 6.15 was never tested on XP much less on Win 7 nor Win 8, etc. so it is in one sense amazing that it continues to work at all. If this however poses an unacceptable security risk to put the user in a power user group with respect to local PC rights, then the alternative is to update to an appropriate version of the newer Pervasive engines, and then local user privileges can be restricted as desired. In establishing the appropriate Btrieve 6.15 settings in the first place on each PC where the software will run, on Windows 7 and 8 and equivalent systems it is essential that the workstation configuration programs including the BTRSETUP.EXE are “run as administrator.” On these systems it may also be necessary to change the icon that launches the software be set to “run as administrator” when launching software that uses the Btrieve 6.15 engine (see below) unless some of the default microkernel registry entries have been changed as discussed above (and which can be managed with the Addsum Btrieve 6.15 Setup utility. 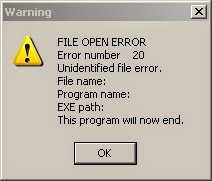 If the error 20 instead occurs during software operation and not in the context of opening a file, another reason for this error message in 6.15 installations relates to inadequate user "delete" rights such that the user is unable to delete 6.15 LCK files; if the LCK files can be moved and the error 20 goes away, this indicates a user rights issue. In rare situations, users have received error 65516 which also appears to be linked to a certain Btrieve DLL's no longer being present (for example if the 6.15 wbtrv32.dll installed in the application folder in the case of Btrieve 6.15 installations was inadvertently deleted or removed by some process or is prevented from being loaded). When running Pervasive database engine environments, the error 20 can be returned if the Pervasive workgroup or other engine is running and the Btrieve 6.15 components exist in the application folder where the executable software (e.g. tp7runtime.exe) is being invoked (or they exist in the Windows path, which we never install to, or some other path available to the user). The Pervasive engine and the Btrieve 6.15 engine cannot be active at the same time. They can exist or available on the same system, but both engines cannot be run concurrently from the same desktop. To resolve, either all PC's should first be running the same Pervasive engine and the REMOVE615.EXE (provided by us) should be run to remove the Btrieve 6.15 components from the application path if the intent is to use the engine with the Advanced Accounting or other TAS-based software. 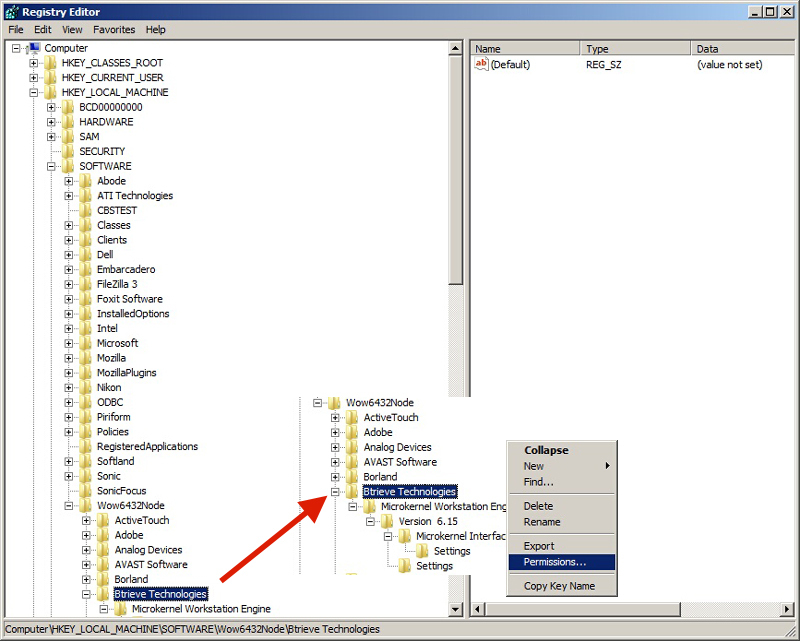 If the Pervasive was installed as part of some other software, then a solution would include uninstalling the Pervasive workgroup engine if is not going to continue to be used (if related to a demo install for example) or to stop the Pervasive engine (how that is accomplished depends on the Pervasive version; newer versions usually run as a service) before trying to run the application using Btrieve 6.15. 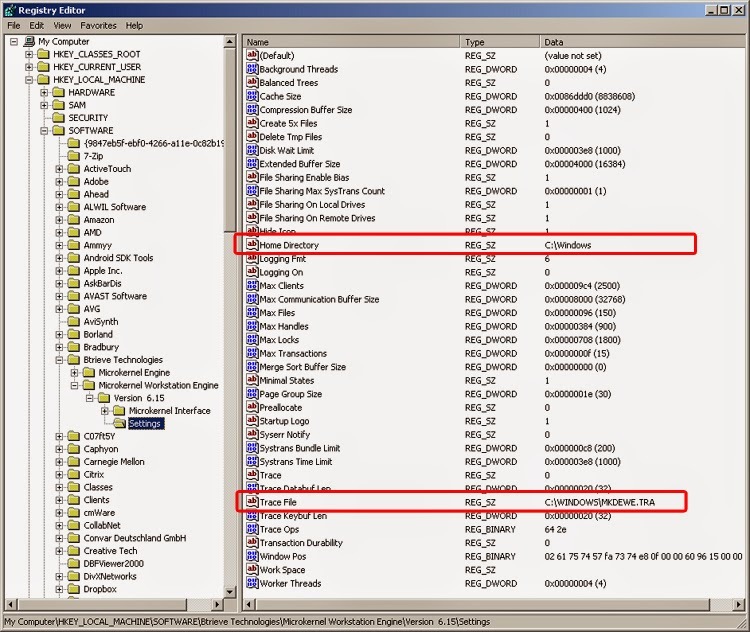 Incorrect or mismatched DLL's may also be the case of an error 20 in Pervasive environments.